Think about it, if you are planning to dress as a Viking this Halloween, imbibing from a red plastic cup or a stemless wine glass is going to really harsh the whole vicious seafaring warrior vibe you’ve worked so hard to achieve. 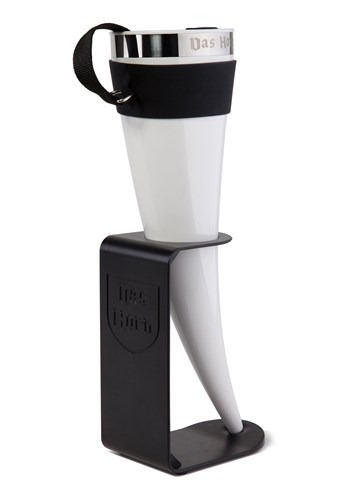 So we recommend that when dressed a viking, you drink to your friends and the battles you've won, toasting with this Das Horn 24oz mug. 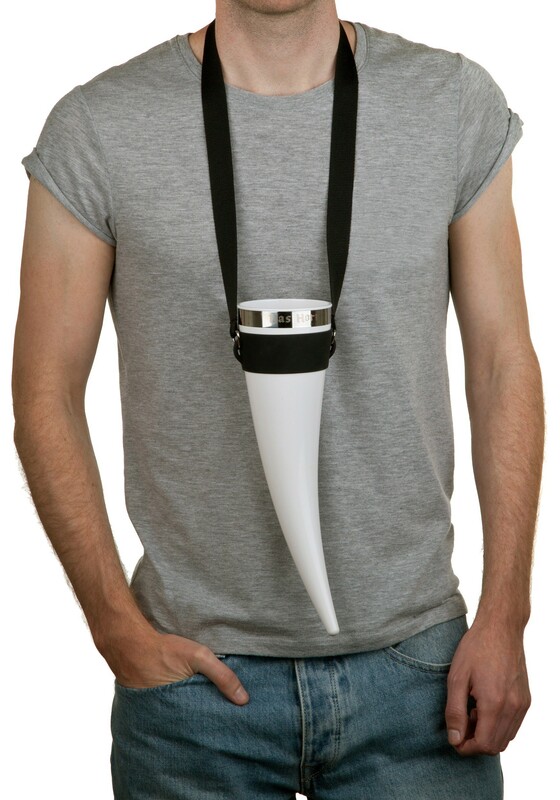 This horn is made of molded plastic and features a neck strap that can slide onto it for easy toting. 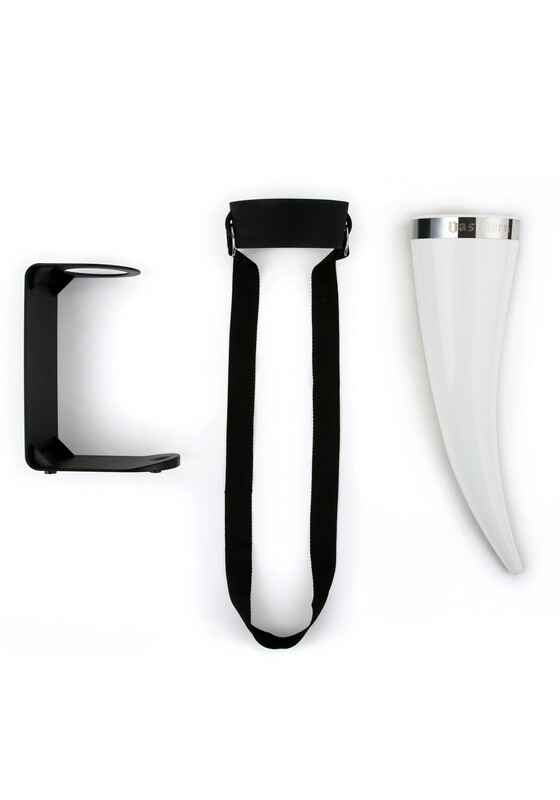 It’s even dishwasher safe--something you modern vikings will really appreciate. So go ahead and pour your favorite cold drink into this unforgettable mug. You deserve it after a hard day at sea. And your mead looks SO much more authentic in this mug than in that lame plastic cup.